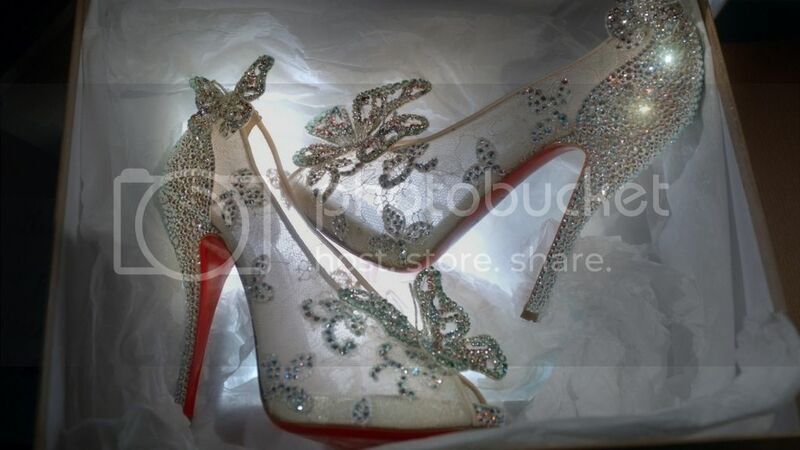 Hello Darlings, If I could think of a perfect heel, this would be it: Christian Louboutin's Cinderella inspired glass slipper! As I opened my inbox to receive an e-mail from Christian Louboutin's press team, my eyes marveled at the delicate nature of the shoe. From the shimmer and sparkle worthy of a princess to the pureness worthy of an everyday girl - the shoe is perfection! The Cinderella slipper which has captured the hearts and imagination of generations of women, comes to life as The Walt Disney Studios and world-renowned shoe designer Christian Louboutin unveil the modern-day slipper in Paris during Haute Couture week July 2-5. “Cinderella is not only an iconic character when it comes to beauty, grace and fairytale love, but also shoes,” explains designer Christian Louboutin. Delicate lace adorned with crystals gives these slippers an enchanting look. 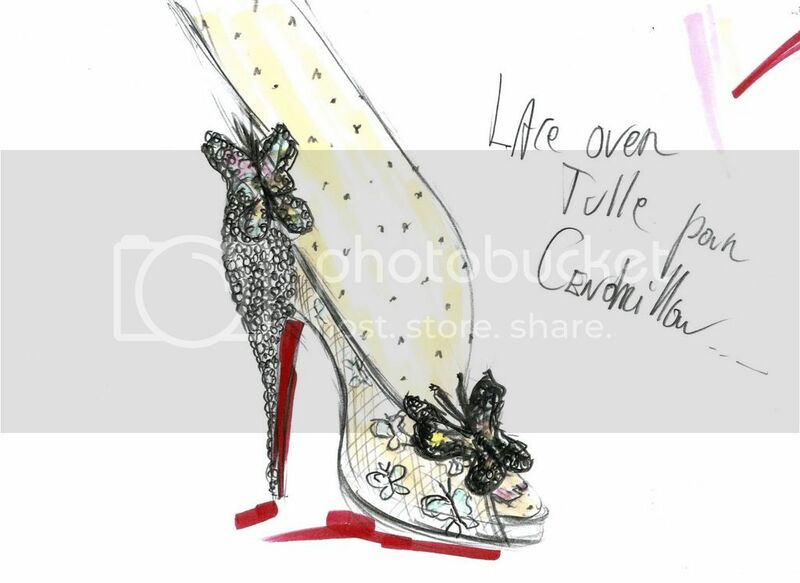 Two sparkling butterflies rest prettily on the shoes, one landing on the vamp while the other sits closely behind atop of the crystal covered heel, gently brushing the ankle. Louboutin’s signature red soles add the final dash of excitement as Cinderella’s slippers come alive. “Her character and her story dictated the design to me, it was all there in the pages and the words of this tale,” explained the designer. Cinderella Diamond Edition is available for release on October 2, 2012 in the U.S. and internationally throughout the fall. What do you think, is it the perfect Cinderella slipper?